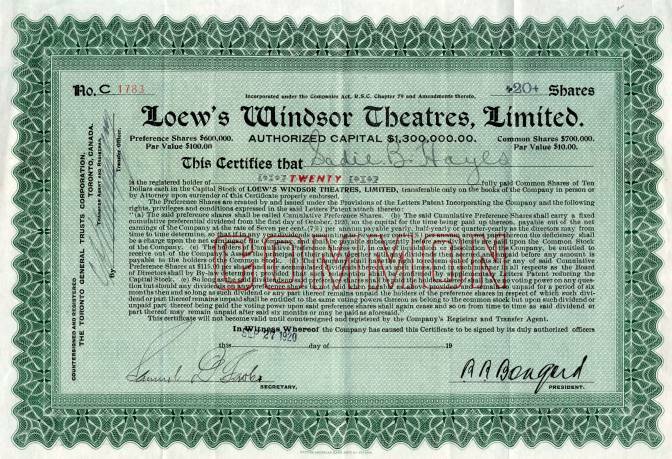 Beautiful certificate from the Loew's Windsor Theatres, Limited issued in 1920. This historic document was printed by British American Banknote Company and has an ornate border around it with a vignette of the company title. This item has the original signatures of the Company’s President, and Secretary, and is over 93 years old. 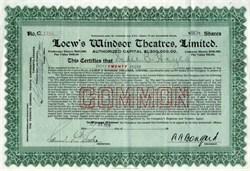 The company became Windsor Capital Theatre, Limited in 1923.